A Bob Uecker personal appearance, Bob Uecker speaking engagement, or Bob Uecker endorsement will reflect well on your company. To hire Bob Uecker now for any corporate appearance, fundraiser, motivational speaker event, personal appearance, autograph signing, or website endorsement please contact our celebrity agents at 1-877-6-SPORTS. We will contact Bob Uecker or contact Bob Uecker's agent and provide you with the booking fees and availability immediately upon your request. Direct Sportslink is the only sports speakers bureau and talent booking agency based in the United States securing only sports talent for corporations, associations, and organizations for motivational speaking engagements, personal appearances, and endorsements. We are the premier sports celebrity booking agency and a sports celebrity procurement expert. Accordingly, we will provide you with any relevant Bob Uecker website information and booking agent details so that you can hire Bob Uecker for your next event. 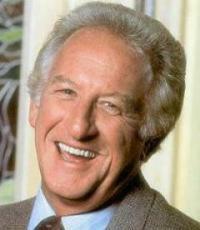 Bob Uecker is a former professional baseball player, later an award-winning sportscaster, comedian and actor. Uecker jokingly identifies himself by the sobriquet of "Mr. Baseball". After retiring as a player just after six years in the majors, Uecker returned to Milwaukee. 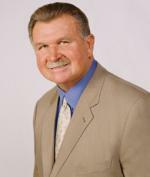 In 1970, he began calling play-by-play for Milwaukee Brewers radio broadcasts. He also served as a color commentator on network television broadcasts in the 1970s (for ABC's Monday Night Baseball) and 1990s (for NBC). 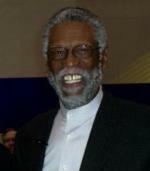 During that time, he was a commentator for League Championship Series and the World Series. Known for his humor, particularly about his undistinguished playing career, Uecker actually became much better known after he retired from playing. He had the most guest appearances of anybody on Johnny Carson's Tonight Show, and appeared in a number of humorous commercials, most notably for Miller Lite beer, as one of the "Miller Lite All-Stars." Uecker played the part of George Owens during the successful five-year run of the television sitcom Mr. Belvedere in the 1980s. Uecker played a prominent role in the movie Major League as Harry Doyle, the announcer for the team that is based on the Cleveland Indians. A very popular and funny phrase is often quoted from this movie; "Just a bit outside..." on a pitch that is several feet outside the strike zone. Uecker was inducted into the Radio Hall of Fame in 2001. In 2003, he received the Ford C. Frick Award, bestowed annually by the Baseball Hall of Fame to a broadcaster for "major contributions to baseball." His humorous and self-deprecating speech was a highlight of the ceremony. In 2005, Uecker's 50th year in major baseball, the Milwaukee Brewers placed a number 50 in his honor in their "Ring of Honor." Bob Uecker was also an inductee in the WWE Hall of Fame Class of 2010. This honor was for his appearances at Wrestlemania III and Wrestlemania IV. Based on your interest in Bob Uecker as a speaker or for a personal appearance, Direct Sportslink has provided you additional links below for other sports talent with similar appearance fees, speaker topics, and categories that match Bob Uecker.